Good post! I read Ebooks from time to time, but they don’t hold my attention like traditional printed books. Thank you kindly. I like both formats, but ebooks just seem lacking sometimes. I love Teagan!! I haven’t read Atonement yet, but I know I’ll love it too. Thank you Melinda. Great big purple hugs back! I love this: “The texture and weight of a book in your hands tells you so much about the content; ebooks all feel the same.” It’s so true. Big fan of Teagan, too. It’s one of the first things I noticed about ebooks. Thank you for your kind words, Dan and Sarah! Saturday hugs! I must clearly start reading Atonement, Tennessee immediately! I love Teagan’s serials and I already have the book … on my ever-growing list of Kindle purchases. Please find me a huge chunk of time! Donna… You should see me jumping up and down. I wouldn’t have needed coffee this morning if I’d realized! OMG, I’m blown away by this wonderful review. I sincerely didn’t expect to see my novel here today. If it’s ever magically a movie, you are hired as casting director! 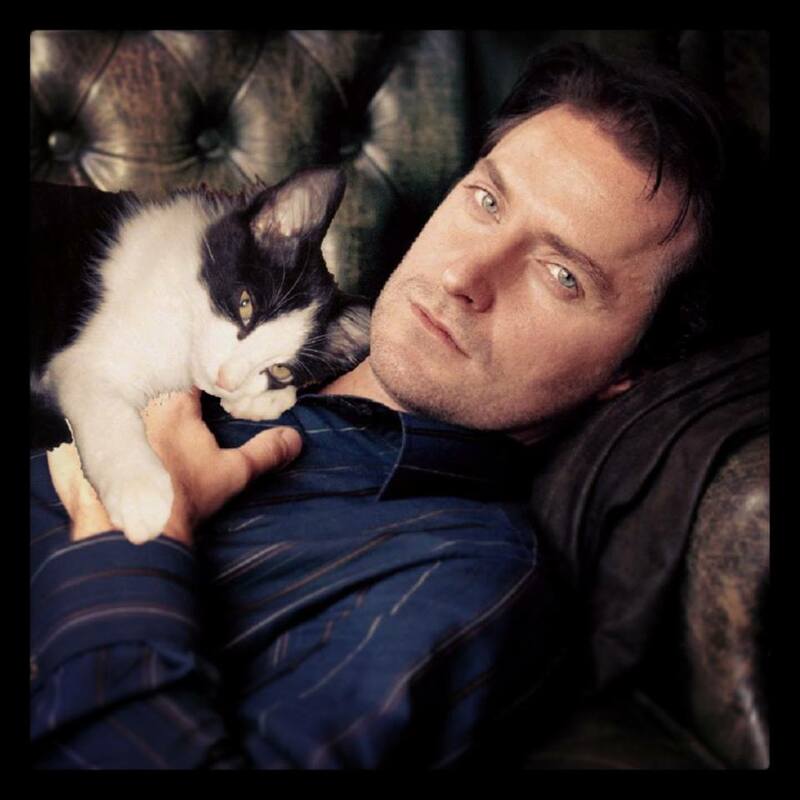 Yummy to your choices for leading men. Probably I should hush now — it looks like i’m writing my own post here. But I’m that thrilled. Mega hugs! All the best today and every day. One of my pet peeves is those “book reports”. Really fun when they reveal the ending. I have complained to Audible but they still publish those reviews. I know, if I want to read a book, I want to read it, not every detail, yes, often including spoilers. Sigh. A great book review, for what it’s worth. Those are so difficult to write; plus, I think I’m probably more than guilty of my share of the ‘book report’ aspect. Probably the reporter/perfectionist/editor in me wanting to give maximum details rather than holding back something, one of the most effective and under-rated parts of storytelling. So many pleasant echoes in this piece, Donna . . . about aging, storytelling, and the ebook/real book discussion, in particular! I adore this book and you’re right. Let’s hope the second follows soon! I loved your pitch for indie authors. Thank you. One of these days I may have to send you one of my books for review. I saw the ‘out damn spot thing’!!!! how do I get you stuff to review? You don’t say? Are you close to breaking the record…how close? well, wordpress claims that, even though they keep every other kind of stat, that they don’t know what the record is. People smarter than me tried to find out. We found a post with 20,000 something comments… an evil post where a girl said that women who have kids are throwing their lives away… and the comments were mostly negative. Ours is all about love. We have reunions. We had writing contests. Trent got drunk and tried to seduce himself in there. We might make it into a book someday, if I can figure out how to edit it. We also contacted the Guinness book of world records, but they say that they only have a record for most comments on a whole blog… a Japanese guy… 3 million plus… but that if they ever do one for a single post, we will be considered. If you haven’t left at least one comment there, click the link at the top of the sidebar. I answer every comment in there, so half the 40,000 are mine… HA! 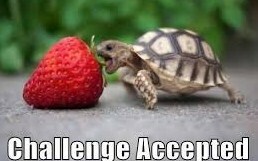 Seriously, leave one comment, I will answer, and it can go on for as long as you want… this is an actual challenge. I saw that… but is there going to be any follow through? I am shameless, not demanding! ok… fine… but did you get the book I sent you? if writing is wrong I don’t wanna be right. I have no idea what a ‘rogers dot com’ is, but my computer doesn’t believe it exists… it wants to believe, but it doesn’t… HA! I did… it says; webpage can’t be found. oh… you do remember I am a computer moron, right? So what do I send you exactly? The entire manuscript of my first sci-fi book??? I like the idea of emailing them to you… that would be free. we should ignore that last part… ’cause it ain’t us! I still haven’t quite figured out where this aging process will take me… or if I’ve even figured it out or gotten used to it yet. The only thing I figured out is why the eyes start to go, so you can’t count your own wrinkles in the mirror. I know… I set a timer. I’m with you Donna, I don’t need someone to tell me whether I’ll like a book or not. They don’t know my likes or dislikes, and I sure don’t know there’s. So I’m just wondering (having not read a book they’ve read yet) how either of us could relate one way or the other on a story. Loved your point of view throughout, very knowing. Good, review of Atonement Tennessee. You were right when you said the book should come with a warning that you need to not plan on anything but reading. Thank you kindly, Luccia, I also find it liberating in many ways. This is awesome. There is nothing like a real book. Well, if I ever write THAT kind of book, one that will transport you to a different dimension in time and space, I will definitely contact you. You too, great to meet you! I will read any book format but tend to shy away from electronic versions and hit the paper books first. 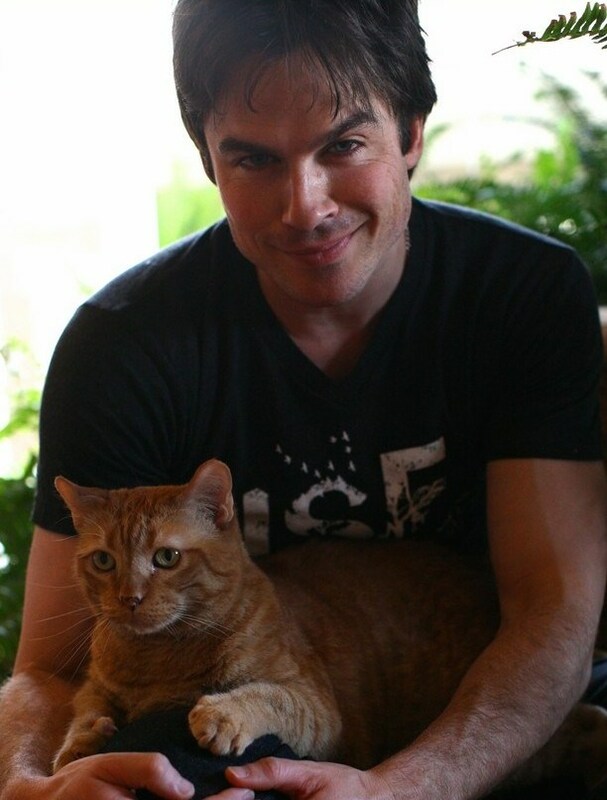 By the way, the photos of the hunks with feline friends almost sidetracked me from the real post. 😀 😀 😀 On all counts. This is in real time. Whoa… Top of the morning. Have a wonderful day. I’m off to an appointment. Yes, I find it distracting with people talking while I’m trying to read. Private stuff should be kept private. I don’t need to hear it, right? I always enjoy the inimitable Donna Parker’s posts at “Yadadarcyyada” – her style and presence is sparklingly apparent, but her heart shines through, brightest of all. So I was happily reading along, when I discovered she could be sneaky! 😀 I didn’t expect to find a review of my novel, “Atonement, Tennessee” within this wonderful post! It can be very hard for me to disengage from stress and work on my novels. Donna has just given me a world of encouragement. I hope to be working on book-2 this weekend. Thank you, thank you Donna! Mega hugs! Donna of Yadadarcyyada reminds us of our youth and saggy bits.. and also gives a review of Atonement Tennessee by Teagan Riordain Geneviene, one of the kindest supporters of the blog.. great post and my opinion is that a little gravitas is a good thing and that it is gravity that is the biggest problem associated with aging. You know Donna I almost left off at ‘sagging’ Sort of too close to home. But you make a great point about wrapping the review in another post to make sure a book you like gets the airing it deserves. I’ve noticed reviews receive less traffic too. I also have a request. 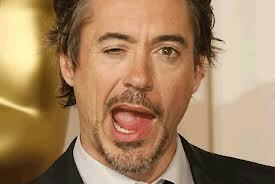 It’s a touch galling, reading your posts, to find I’m slapping my forehead again and going ‘of course’. You dig out and expose the bleeding obvious from where it lays hidden in my mental forest. So, do you lend out your brain occassionally? At least the analytical part. I’d only need it maybe twice a year for a couple of days. When your on holiday maybe? Dee, you’re hysterically adorable…don’t stop! I’m not a big fan of book reviews that are like book reports either. Some of the best new books I’ve read are those I picked up off a table on a whim! Wonderful post! I laughed at your suggestion of adding a warning to some books – read only if you have nothing to do for the next few days. I’ve been trapped by such books a few times…and what a treat they are! What a great read! I loved the interesting content and your humorous and witty writing style is excellent. Being a bit of an old fossil myself, I really enjoyed your summary on growing old, with all its undesirable effects – other than the wisdom that comes with age. I can’t deny that’s true. 😀 Perhaps we’re restless when we get older because we recognise there’s so much less time now to dothe things we want to get done. 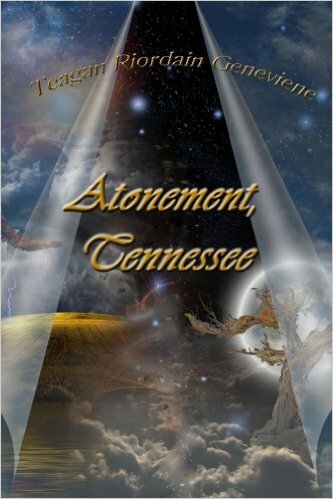 Atonement Tennessee sounds like a great read. Another one to add to my TBR list. I am going to have to check this out but I am just like you. I must have a block of time available because if I like a book, no one will see me for days. Oh, and there is always effort available for cake. Thank you for linking to #BlogShareLearn. 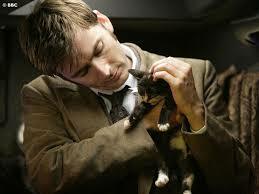 I like cats and enjoy books but men, sigh! I could look at your posts and you could say almost every anything. Ha ha! The Gif’s on this post are just hilarious! Sweet dreams are made of this– I love that song. 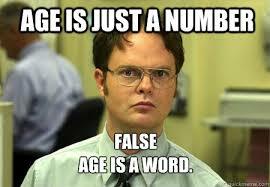 I think that age is a mindset. Frank Sinatra’s song Young at Heart rings true. Then, the aches and pains start, and as you said the age spots, and it’s hard to ignore the number, or the word, as your post pointed out. I thought the Freaky Friday quote was funny. Sally, I just love this, had to come back again now that I have time to comment! Teagan is simply amazing, my copy of her astonishing book, ‘Atonement, Tennessee’ (which should be riding the top of the bestseller list with no signs of leaving) is so dog-eared from rereading so often. Luckily her fans, like me, have her wonderful blog to visit. Enjoyed this so much and will share again. Great post! The older I get, the more attention I pay to the things I let get past me and the harder I work to be sure I don’t miss anything else! I have a Kindle full of books from indie authors – and then I never get around to reading them as I am too busy blogging or reading other bloggers – like you. Yes, I blame you. 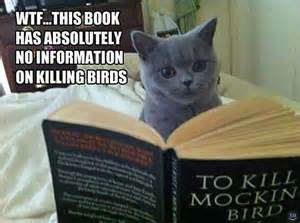 But I will tell a cat-loving friend about this book. On my list to check out. I am a cat lover so…. Loved this, Donna! OMG, how I can relate to the “sagging” and those nasty spots and tags! Ugh!!! I loved that movie, the first one best but the second one was ok. Thank you kindly, you’re too good to me.